Division of Property in Divorce - Get What You Deserve! The most contentious battles that take place during the divorce process normally focus around custody and visitation with children, but the most common and second most contentious battle that takes place during a divorce is the dividing up of property. Questions regarding division of property in divorce can be complex and complicated and only an expert divorce attorney can help explain your rights. More rules exist regarding the division of property in divorce than virtually any area of divorce law. The best way to keep up with your own personal situation is to speak with an expert divorce attorney, and you’re in luck, because you are moments away from a free evaluation! What is Marital Property and How Do I Keep My Share in a Divorce? For the most part, property that is acquired during the marriage is deemed marital property. Many exceptions exist to this rule, and only an expert divorce lawyer can provide you with all the details, get your 100% free evaluation with an attorney now by filling out the form and don’t lose your chance at getting what you deserve. During the divorce process, many attorneys will trade back and forth what is ordinarily called a Marital Settlement Agreement, which will lay out the way that the property (and debts) should be distributed between the parties. Eventually, this agreement will either become agreed to between the parties after compromising, or after trial, the court will order it. Assets such as 401k’s, property like homes or vacation homes, cars, pensions, bank accounts, or personal household belongings all will be covered in this agreement. On top of the distribution of assets within the marriage, debts must also be distributed. Credit card debts, mortgages, or personal loans all need to be tackled and evaluated to determine who should pay which portion of the debts acquired during the marriage. What Formula is Used to Divide Assets and Debts? Keep in mind that the law does not necessarily require that the assets and/or debts be split “evenly” or on a 50/50 basis. Many times, the court will order one party to pay a larger portion of debts or to receive a larger portion of the assets in a divorce. This may be dependent on a lot of reasons. Only an experienced divorce lawyer can tell you specifics on what you can expect while going through your divorce, don’t wait any longer, don’t lose your rights, contact an attorney now for free! There are many reasons why a court might order one party to pay more of the debts or to receive more of the assets. Whether one party brought a large portion of assets into the marriage, received a large portion via estate gift. Whether one party wasted money throughout the marriage by traveling for an extramarital affair is a factor that may be taken into account. This is called dissipation of the marital estate, and an expert divorce attorney will fight to make sure an accurate accounting takes place and your rights are protected. 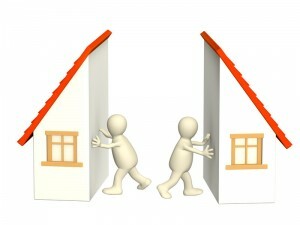 An equitable property division is achieved by first discovering all of the marital assets and all of the joint debts. Oftentimes, the property that is divided during a divorce does not need to be sold, it is traded between the spouses to get an even distribution of the assets. What Do I Do to Help My Situation? Easy–contact an expert attorney now. It’s a good idea to put together a list of debts, assets, property and bank accounts so that you can provide this information during your free consultation. Whether you are anticipating divvying up assets or dividing up debt, only an experienced attorney can properly assess your situation and let you know what you are up against. Getting a proper division of property during divorce isn’t easy, but it can be done if the correct approach is taken. Filling out the form on this page will put you in touch with an expert divorce lawyer for free. You have nothing to lose, except your rights—get your 100% free evaluation now and get what you deserve!